DOLE, Robert Joseph, (husband of Elizabeth H. Dole), a Representative and a Senator from Kansas; born in Russell, Kans., July 22, 1923; graduated, Washburn Municipal University, Topeka, Kans., with an undergraduate and law degree in 1952, after attending Kansas University 1941-1943 and University of Arizona 1948-1949; during the Second World War served as a combat infantry officer in Italy; was wounded twice and hospitalized for thirty-nine months; awarded two Purple Hearts and the Bronze Star with an Oak Cluster for military service; admitted to the bar and commenced the practice of law in Russell, Kans., 1952; member, State house of representatives 1951-1953; county attorney of Russell County 1953-1961; elected as a Republican to the Eighty-seventh Congress and to the three succeeding Congresses (January 3, 1961-January 3, 1969); elected to the United States Senate in 1968, reelected in 1974, 1980, 1986, and 1992, and served from January 3, 1969, to June 11, 1996, when he resigned to campaign for the presidency; majority leader 1985-1987, 1995-1996; minority leader 1987-1995; chairman, Committee on Finance (Ninety-seventh through Ninety-eighth Congresses), Special Committee on Security and Cooperation in Europe (Ninety-ninth Congress); chairman, Republican National Committee 1971-1972; advisor, Presidents Delegation to Study the Food Crisis in India 1966; advisor, U.S. Delegation to Study the Arab Refugee Problem 1967; advisor, U.S. Delegation to the United Nations Food and Agriculture Organization 1965, 1968, 1974, 1975, 1977, 1979; member, U.S. National Commission for the United Nations Educational, Scientific, and Cultural Organization 1970 and 1973; member, Commission on Security and Cooperation in Europe 1977; advisor, GATT Ministerial Trade Conference 1982; member, National Commission on Social Security Reform 1983; member, Martin Luther King, Jr., Federal Holiday Commission 1984; unsuccessful Republican candidate for Vice President of the United States in 1976; unsuccessful candidate for the Republican presidential nomination in 1988; unsuccessful Republican nominee for President of the United States in 1996; awarded the Presidential Medal of Freedom on January 17, 1997; chairman, International Commission on Missing Persons in the Former Yugoslavia 1997-2001; national chairman, National World War II Memorial 1997-2004; engaged in the practice of law in Washington, D.C., 1997-. Dole, Bob. One Soldiers Story: A Memoir. New York: HarperCollins, 2005; Dole, Robert J. Historical Almanac of the United States Senate: A Series of Bicentennial Minutes Presented to the Senate During the One Hundredth Congress. Washington: Government Printing Office, 1989; U.S. Congress. Senate. 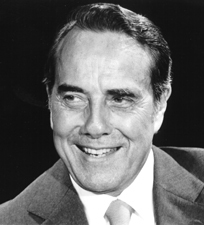 Tributes Delivered in Congress: Robert J. Dole, United States Congressman 1961-1969, United States Senator 1969-1996. Washington: Government Printing Office, 1996 (S. Doc.104-19).